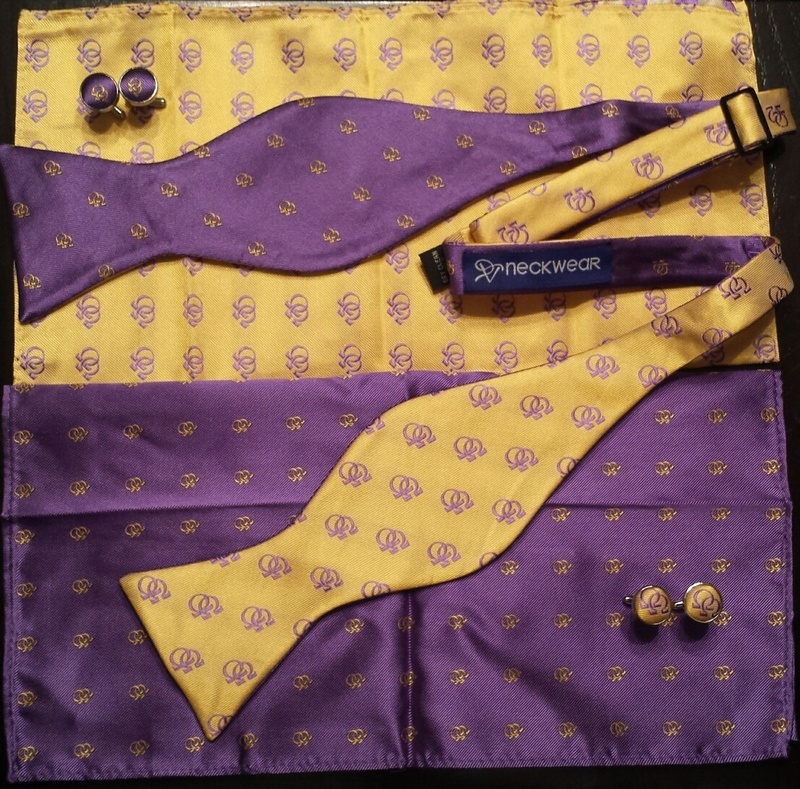 The P5 Neckwear bowtie has a neck size of 13" to 22" and provides the customer with "96" combinations. There are 6 views with the reversible bowtie, 4 views with the 2 reversible pockets squares, and 4 views with the 2 sets of cufflinks. Each bowtie is a two sided, 3" in width, and 100% silk. This product is of a very high quality silk as we want to be viewed as a premier Haberdasher!